5A with extra-long 17" length and extra long taper, expanding the drummer's fulcrum area for a wide array of responses and feels. Freestyle is a new series of sticks from Vic Firth that draws inspiration from the dynamic world of freestyle longboard skateboards. For freestyle riders, it’s about expression, flow, and style. They have the versatility to move up and down the board without losing control, using every inch of their deck. 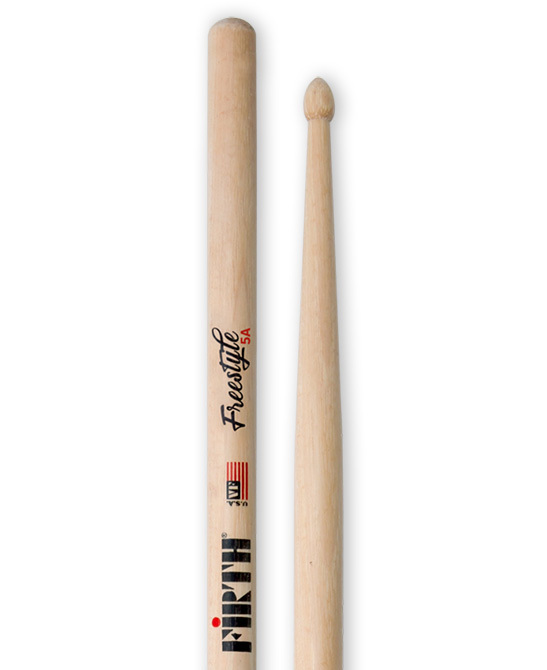 Vic’s Freestyle series of drumsticks combine a massive overall length of 17” with extra long tapers. 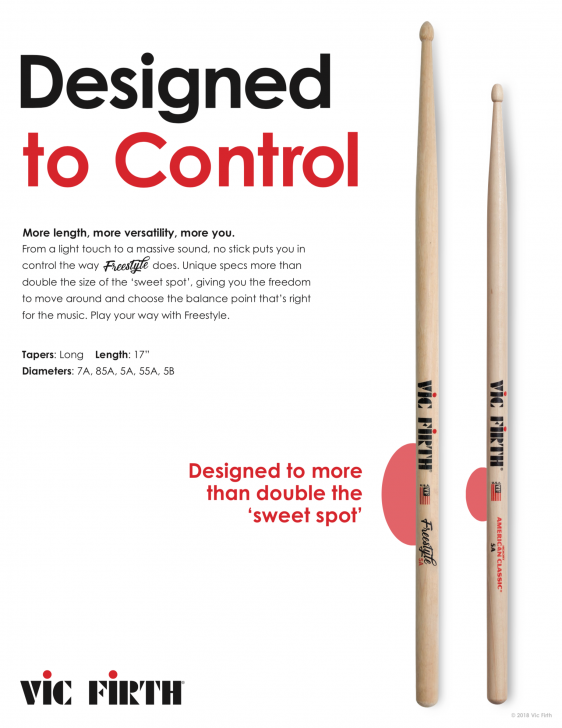 This combination of length and taper length more than doubles the area where a drummer can place their fulcrum – offering a humongous array of responses and feels out of the same pair of sticks.